Choosing a website host that is ideal for you can prove to be quite tricky. Furthermore, everyone’s requirements and expectations are different and not all website hosting service providers are equal. 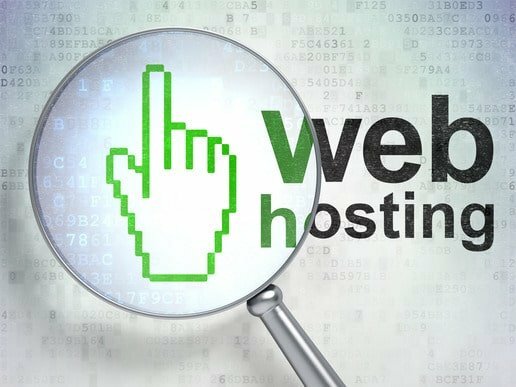 In this article, we are going to lessen the burden you may have when choosing a website host by looking at the factors that you should consider. This will make it easier in choosing a hosting service that is right for your website. quality services, a lot of high storage and bandwidth all at a low price. While there is a lot of options out there for consumers, you should keep in mind that there is always a trade-off when looking for a host. There is a host saying that says: If you are searching for a host, you have a choice of high-quality service, a lot of disk space and bandwidth, and a low price. And, in this case, you can only choose two. Well, there are some website hosts that claim to offer all three, but it is very rare, and in fact almost impossible for a host to offer all three. The reason behind this is because a high-quality service, which means good support staff and excellent servers will cost the host a lot of money. Ideally, bandwidth and disk space will cost money; which means offering bandwidth and storage will be costly for the website host, unless, of course, they oversell it in a controlled manner. This means that if you can get high quality service and a lot of bandwidth and storage as well, it would be virtually impossible for the host to charge low prices for these services. If you wanted to pay a low price for you hosting, keeping in mind that the bandwidth and disk space costs money, and that the staff will have to be paid for the services, then you will not be able to get both huge storage and bandwidth and quality service, unless you sacrifice one. This is just lie in any other industry. Take the vehicle industry for instance: there will be some cars that are very desirable and go at incredible speeds at the same time (A Lambo for instance). Such a car will obviously not be cheap. On the other hand, you will get some cars that are less desirable, and travel at lower speeds and these go for a relatively cheap price. The point is that there will always have to be a choice. So, no matter what the host advertises, it would be practically impossible to get all the three factors; low price, lots of storage and bandwidth and high quality services. This should be the first point to keep in mind. If you come across a website host that is offering all of the above three things, then chances are they are not entirely honest with you, and it is best that you avoid them before things start to get messy. We would all love to get a Lamborghini for a few thousand dollars, but you can’t just get quality for a low price. And the same is true for website hosting. A websites host’s is another important thing to consider. I would recommend looking for a host that has an uptime of at least 99.5%. This amounts to almost 220 minutes per month or 7.4 minutes per day. This acceptable for most individuals but others may require a higher uptime, especially those who are using the websites for business purposes. To know the average uptime of a host, you can ask them through their client support system. A good host will have such statistics at hand, and they will gladly give them to you. If a host declines to give them to you, without any good reason, then you are better off searching for another one. There are websites which provide uptime information for some hosts, and you can use them to find a host that will meet your uptime needs. Such sites include Hyperspin, which is a company that hosts pay to monitor their uptime. Another thing to consider is that your websites in the future might grow in popularity. In regard to this, it is important to check if the potential host offers the ability for you to upgrade to a larger plan, and that is terms of more bandwidth and storage, or even a VPS or a dedicated server. If you are in doubt, you should try and contact their support staff and see if hey offer a range of hosting options that can meet your potential future needs. There are a few hosts that offer a Money Back Guarantee, usually stating that you will get a full refund on the hosting costs if you are unsatisfied with the services they offer. If you are yet to be sure if a host is right for you, you can go ahead and try a host with such a guarantee and get a full refund if you are not happy with the service, or if it is not just right for you. You can do online research, go through reviews and testimonials of people who have tried certain web hosts. This can be a good way of narrowing down to a website host that is right for you. There are a couple of sites dedicated to listing the best hosts out there, but beware as some of these review sites are just paid advertising or marketing and so they do not really give honest opinions on the hosts they list. With these tips in mind and knowing exactly what you need, it will be easier to track down a website host that completely fits your needs. All the Best!